I’ve been working on a project for a few years now. It’s been hard work. I’ve given my free-time to it, spent money on it, poured my heart into it. This project has been a dream of mine since my late teens. I’ve spent the last two years focusing on it, but a decade working towards it. In the last month or so I haven’t really had a passion for it. I’ve felt tired. I’ve felt like giving up. I started to consider whether it was worth my time, money, and heart. Every time I thought I should stop I felt like giving up wasn’t the right route to take. 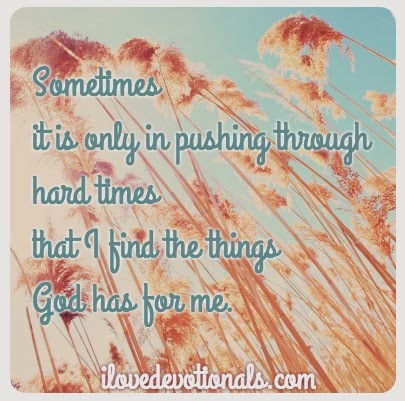 I was sure that God hadn’t given me this dream for me to give up on it when it felt hard. I felt like I needed to push through. Maybe I should clarify, I didn’t feel like I wanted to push through, but rather I had a feeling that if I gave up I’d miss out on something beautiful in the future. So I kept going. Each week I’d wake up and do the tasks that needed to be completed. I would simply do the next thing. With each task I would hope that either the passion would come back, or that something would happen to let me see that this project was not without purpose. Then one day last week I opened my mail and there was a message with an opportunity that reminded me why I started this project in the first place. As I read the email I realised that if I’d given up, when I felt like it a month or so ago, this breakthrough would never have come. Ponder: What dreams do you have that feel hard at the moment? Are they worth pushing through for the reward that may come at the end? 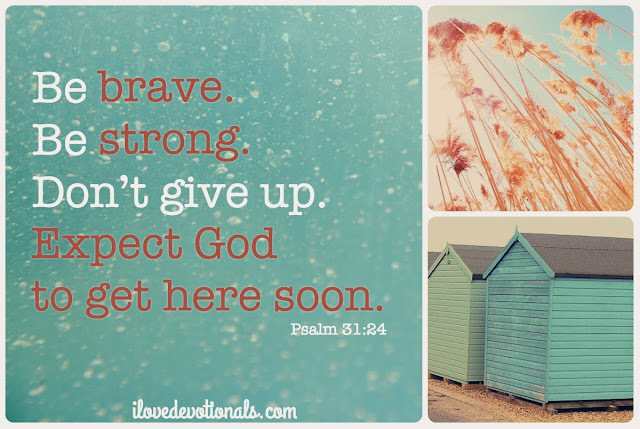 Prayer: God, help me to be brave and not give up. I’m expecting you turn up soon and show me the things you have for me. Amen. In my free e-book Life, Life and More Life I share some of the thoughts on how to make every moment count gleaned from my experiences of loving my husband through 18 sessions of chemotherapy and a bone marrow transplant.. If you would like a copy please subscribe to receive my devotionals every Monday and Friday. Is there a way to know if God cares about me? How do I really love some people? Is cancer (or any illness) part of God’s will?